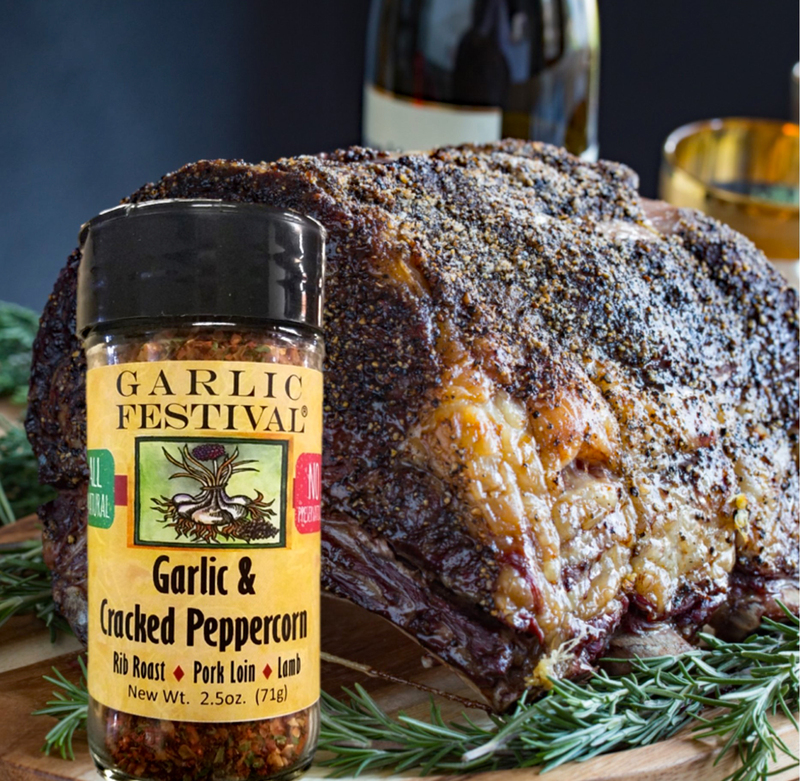 Our Garlic Festival Garlic & Peppercorn Rub & Seasoning is a real natural for Rib Roast. We trust you will emjoy this recipe as much as we do. Place roast fat side up and make several slits and insert Garlic Festival Garlic & Cracked Peppercorn Seasoning in slits created. Place roast in the pan, fat side up. Insert a meat thermometer in the thickest part of the roast. Roast for approx. 10 minutes to brown the top fat layer. Reduce temperature to 300° degrees and roat until the internal temerature reads 155º to 165º. Remove from the oven and cover with foil. Allow to rest for approx. 30 minutes before slicing. Pour the wine in the drippings left in the roasting pan and heat to medium to dissolve the drippings. Bring the mixture to a slow boil. 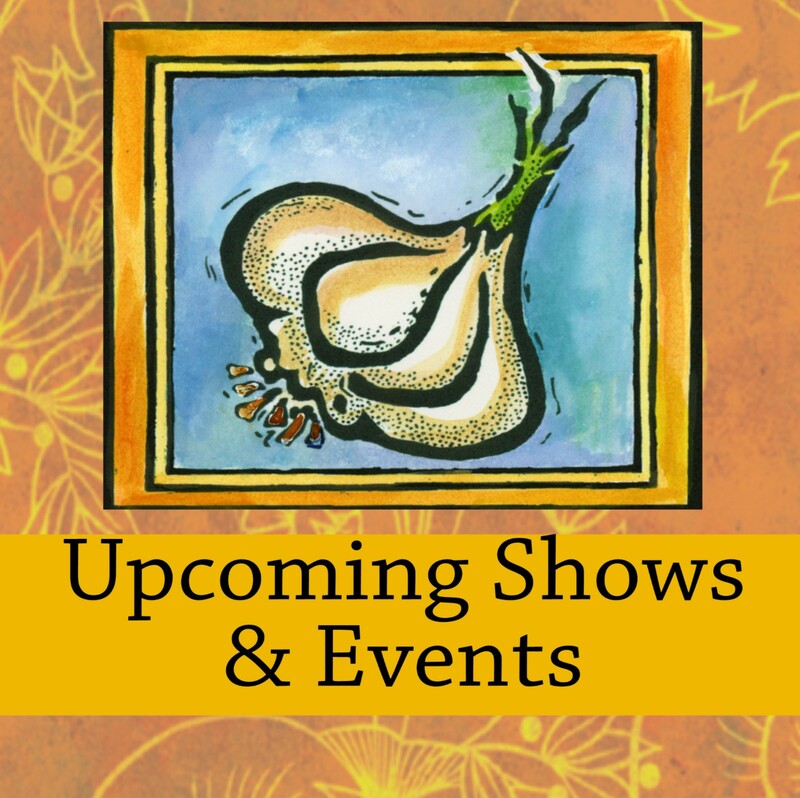 Redue the heat to low and continue to cook for approx. 5 minutes. Place the sauce made from dripping in a bowl and serve with the slice roast.